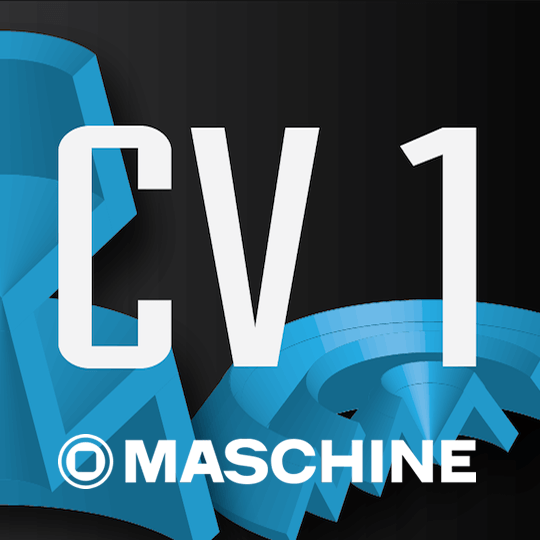 CV #1 is the first in a series of MASCHINE Expansions made with and inspired by analog modular synthesizers. This pack contains – 585 samples, 16 drum synth presets, 16 Maschine groups (kits), and 2 demo songs. Beginning with content inspired by classic, quintessential, banana-cable West Coast synthesis, the CV #1 MASCHINE Expansion incorporates the sounds of complex waveforms, frequency modulation, and analog, phasing, un-quantized sequencers. All of the raw samples found in this first CV MASCHINE Expansion were carefully recorded with a rare, early vintage Serge modular in California with very light processing (or no processing at all). With presets for MASCHINE 2’s drumsynths, MASCHINE effects, sounds, groups, and patterns, CV #1 MASCHINE Expansion is more than just a collection of samples. The lighting-fast morphing sequences that come with the groups (and the demo projects) and light up Maschine’s pads with geometric patterns are based on an experimental technique that uses MASCHINE’s sequencer and has been featured in our tutorials on maschineskills.com. These patterns, and all sounds in the CV #1 MASCHINE Expansion, are inspired by the unique sounds of legendary synths from a bygone era. The CV #1 MASCHINE Expansion is a first in a series of expansions that travel the far corners of the history and wide world of synthesis.